Stephanie was born and raised in Albuquerque, New Mexico and graduated from the University of New Mexico in 2016 with a B.S. in Biology and a B.A. in Latin American Studies with a focus on conservation biology and natural resource management. Her work focused on local conservation issues in the Southwestern United States regarding wilderness designations, endangered species, mining, and water rights. She collaborated with local organizations to build community action and consciousness regarding local conservation efforts. 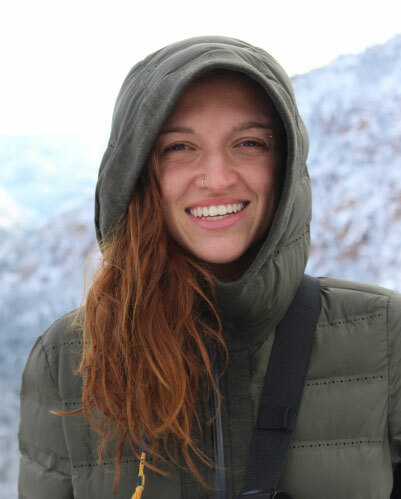 Stephanie has conducted fieldwork and research in Nicaragua, Mexico, Brazil, Panama and Mozambique, focusing on degraded lands restoration, reforestation, agricultural development, and environmental planning. Stephanie first came to Mozambique as a Boren Scholar with the African Flagship Languages Initiative at Universidade Eduardo Mondlane in 2017 and joined Legado as an intern shortly thereafter. Stephanie returns to Legado as our Program Assistant after working as a researcher with the Agua Salud Project at the Smithsonian Tropical Research Institute in Panama, a land-use, ecosystem service and reforestation experiment in the Panama Canal Watershed. As a long distance runner and lover of the outdoors, Stephanie is a strong believer in building connections with the wilderness through adventure. The time she has spent in the outdoors has challenged her to better understand how ecological models can serve as examples to achieve balance and sustainable growth.